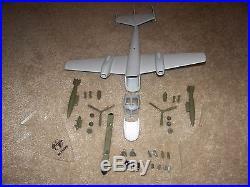 The parts enclosed will allow you to custom build a number of different versions of the RV-1D, OV-1D, OV-1C and OV-1B Mohawk. As a bonus I'll send you a few spares in case your builds get broken after you build them. Note: This kit contains some of the last blanks produced by Topping / Precise Model Company. The parts are new and unfinished. They do show some dirt and minor discoloration from sitting in a warehouse for over 20 years. With a little soap and water they'll be clean enough for your custom paint job. The decals are new in the package. List of Parts enclosed you'll need per aircraft. 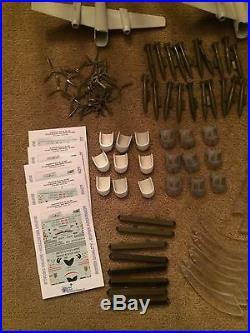 As a bonus I'll be sending some spares to you so you are stocked should you break or loose a part. OV-1 Mohawk Blank with nose cap and canopy. SLAR Boom (OV-1D) can be reshaped to a B model with a little work. 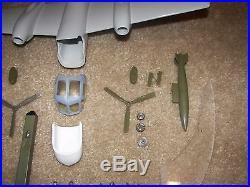 Set of 2 Drop Tanks. 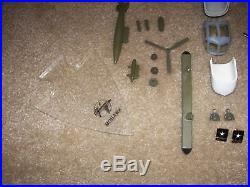 Set of 2 Propellers (you will need to carve out the prop hubs). 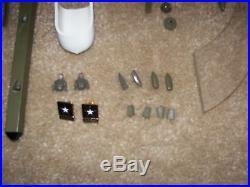 Set of 4 Air scoops and 4 Antenna's. Acrylic Stand (Needs cleaning, assembly and mounting pin to hold Mohawk). 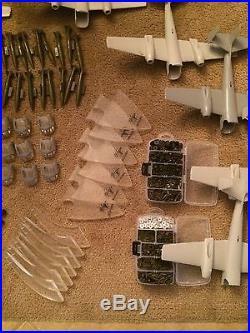 Set of 4 each Wing Pylons. 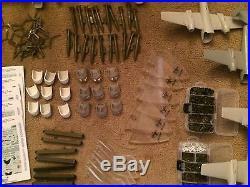 Set of 2 each RV-1D Mounts (ELINT Pods not included). 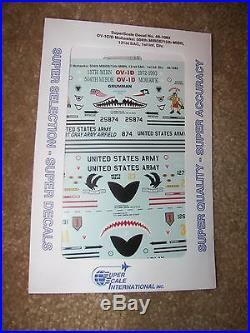 Super Scale Decal Set 48-1085 OV-1C/D The OV-1D 50th MI Ft. Hood Texas, OV-1C Mohawks from the 131st SAC & 1st Inf. I've been experimenting with resin casting and will include a set of prop hubs per aircraft that I'm working with - Not perfect but will do. I do not leave feedback first anymore sorry for this but (too many buyers not returning the favor). I do guarantee feedback after feedback is received. I'm not a business and these items are from my personal collection. Thank you in advance for your understanding. 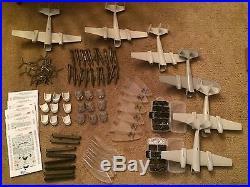 The item "Lot of 6 Parts Kits for the Grumman OV-1 Mohawk Desktop Model Topping / Precise" is in sale since Monday, January 25, 2016. 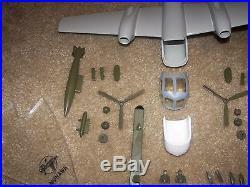 This item is in the category "Collectibles\Transportation\Aviation\Military Aircraft\Desk & Shelf Models". 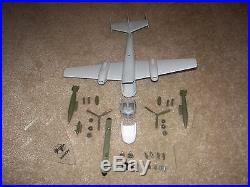 The seller is "ov-1dmohawk" and is located in Spring, Texas. This item can be shipped to United States.